The School of Management Careers team provides bespoke and exclusive careers support for SoM students and is formed by two teams - our Careers Consultant team who provide careers coaching and guidance via 1:1s and group workshops and our Employer and Alumni Engagement team who facilitate connections with employers and alumni both in the UK and globally via bespoke employer and alumni event programmes. This is an essential complement to our academic programmes, enabling us to best prepare our students for their future careers and support them to identify and achieve their goals. Our Careers Consultant team is led by Tisha Pryor, Careers Team Leader and includes 5 Career Consultants, while our Employer and Alumni Engagement team is led by Shak Chowdhury, Employer & Alumni Engagement Manager and includes 2 Employer & Alumni Engagement Officers, 1 Internships & Vacancies Officer (Management Science) and 1 Employer and Alumni Engagement Administrator. 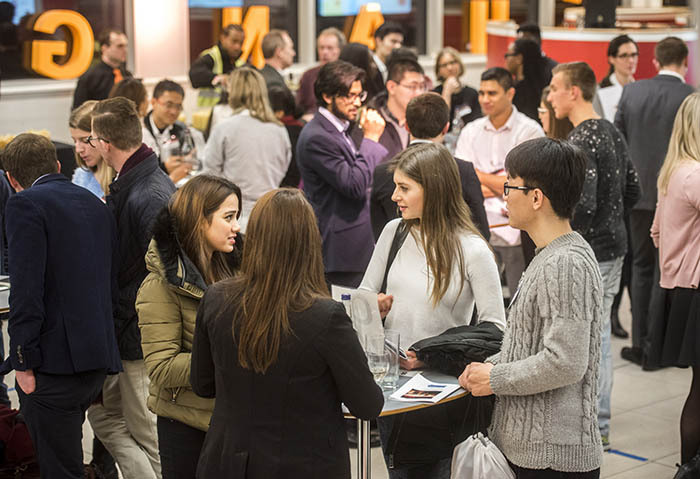 Working closely with a broad range of employers from all sectors, we organise a programme of activities designed to maximise opportunities for our students to network and build strong connections with employers. Our students participate in activities which allow them to develop a highly competitive skillset, and strong and current commercial awareness. Whether you need to recruit for permanent graduate level positions, projects or internships, our global student community can meet the most diverse recruitment needs. Our rigorous selection criteria across our courses mean that, as a recruiter, you can be confident that much of the initial work has already been done for you. Advertise your vacancies: target your opportunities, internships and placements to specific courses and year groups. We will advertise your opportunities free of charge. Raise your profile: attend our industry insight sessions, deliver company presentations and support students by offering CV / application checking and mock interviews. You can get involved in these activities throughout the year. Industry Projects: benefit from an independent perspective on strategic issues by harnessing the expertise of our students. We welcome projects from all industry sectors and will be happy to discuss your needs further. Student Societies: our student societies are a vibrant part of the UCL School of Management community, led by students for students. Our Women in Management Society for example organises events designed to support our female talent reach their full potential. 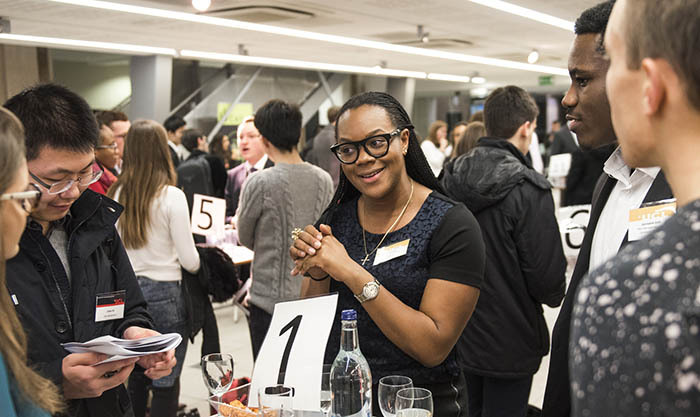 If you are an employer who would like further information on how to engage with School of Management, please contact Shak Chowdhury, Employer and Alumni Engagement Manager at s.chowdhury@ucl.ac.uk. The UCL School of Management is keen to maintain strong ties with its alumni community and hosts a number of opportunities to attend events at SoM and interact with other alumni, staff and students. UCL School of Management alumni can now join our exclusive online SoM community at www.uclmgmtnetwork.com which allows you to receive SoM news and share your own news, catch up on what your fellow alumni are doing, and connect with other alumni and current students as either mentors or mentees. For further information on how to join this exclusive platform please contact Shak Chowdhury, Employer and Alumni Engagement Manager at s.chowdhury@ucl.ac.uk.